"House Flipper" Game Review: Gameplay Overview, Pros and Cons! 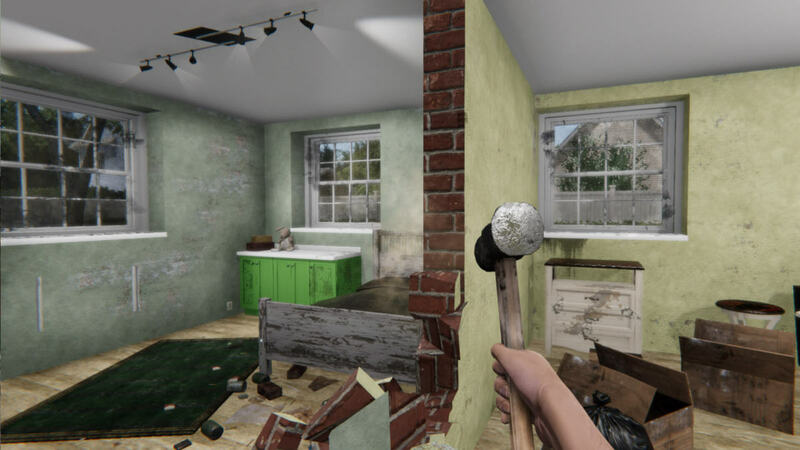 If you ever enjoyed building houses in the Sims games more than you actually enjoyed playing, then you'll probably really love the House Flipper game. Developed by Polish indie studio, Empyrean, the game puts the player into the role of a one-person renovation crew. It's your job to buy run-down homes, demolish walls and rebuild them, exterminate pests, clean up messes and restore water damage, paint walls, lay flooring, install appliances, decorate the interior, and then put the house back on the market and “flip” it for a higher profit. The game's first-person perspective and 3D graphics definitely give off a realistic feel, and the level of detail for renovation is quite good. You're responsible for every aspect of redesign; from the big jobs, like using a mallet to slowly break down the walls, to going through each step it takes to install electrical outlets. Your skills level up the more you use them, giving you the ability to install things quicker, or paint more walls with one swipe of the paint brush. Once you've gutted a house, cleaned it and repaired the broken appliances, you can decorate it with a variety of furnishings, décor, wallpaper, paint, carpets and tiles. There's options for creating living room spaces, kitchens, bedrooms, bathrooms, laundry rooms, libraries, and, oddly enough, a sauna. After you've renovated the house to something befitting a front page spread of 'Architectural Digest' you can put the house back on the market and sell it to a list of preset “buyers.” Each buyer has certain needs in mind (some want large bedrooms, some won't buy a house with too much clutter, or a computer in the bedroom, etc.) and the game runs an auction, where the highest bidder wins. Use your profits to buy another worn down house on the market, and repeat! 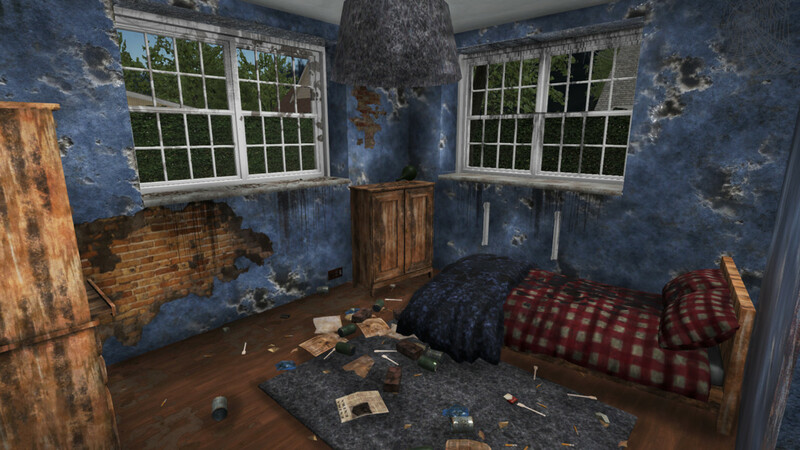 A ruined house for you to renovate in House Flipper. There's also some “mini-games” where you're given particular renovation or clean-up jobs, sent to you by e-mail via clients (for example, one client asks for the player to come to their place and turn their spare bedroom into two rooms for their children, by adding a wall and painting). I've played about 22 hours in the game and have really enjoyed my time so far. There's something really cathartic about taking a run-down dump and building it up into a stylish, clean home. There's a decent selection of furniture and decorative items to choose from. I really enjoy the fact that you can completely gut a house and tear down all the walls, and rebuild your own floor plan within. There's also a really neat ability to import any .jpg into the game and use it on several canvas sizes as custom artwork. That being said, the game isn't without its faults. 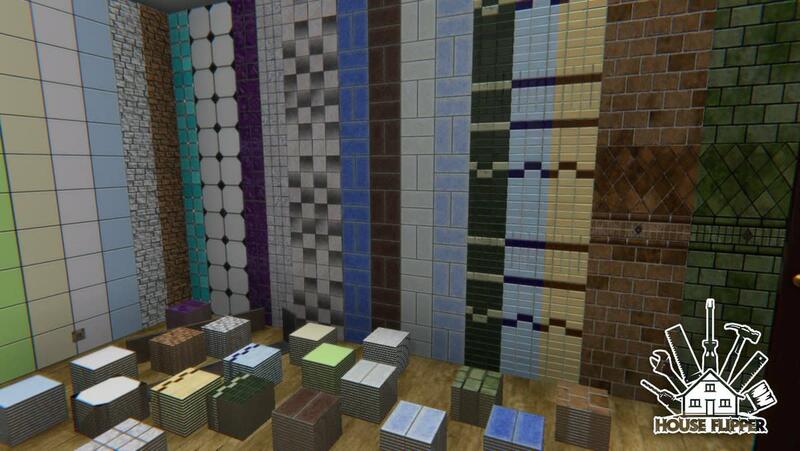 You can only customise a house so much; you can't move windows currently, you can't tear down exterior walls or move the front or back doors, and there's no half-wall option besides a clunky ability to put in inlet walls, which you can only place from the ceiling down. Tear down walls and make the home your own design. There's also just not enough furniture for an interior design game. 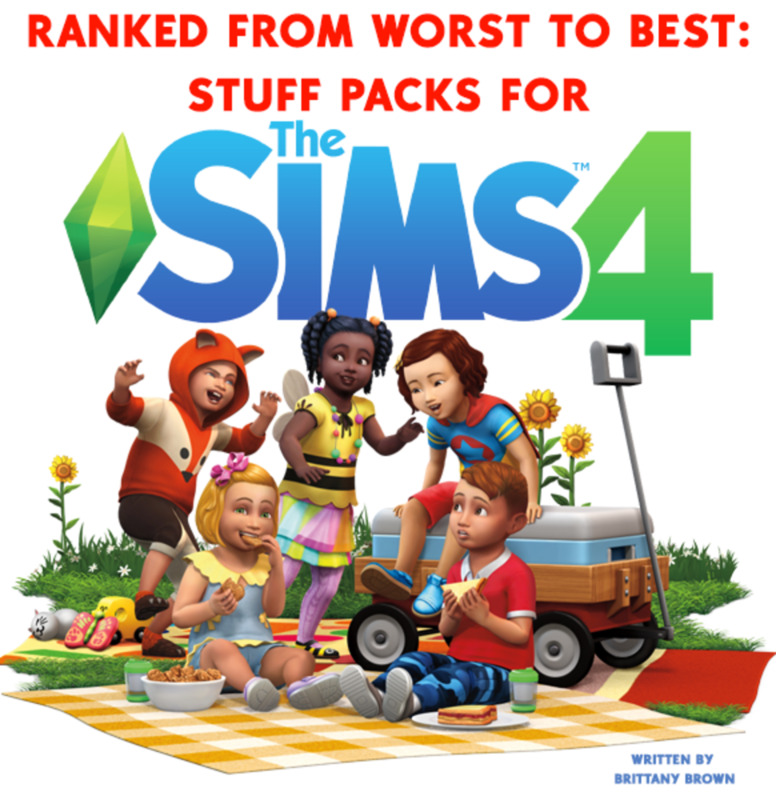 I compared House Flipper with The Sims in the beginning of this review, but I have to say that I think The Sims 4 (the most recent installation in The Sims game series) had more furniture in its base game than House Flipper does. The buyers are my least favourite part of the game. It's tricky to design to their specifications, and some of the things they ask for make literally no sense. For example, the single bachelor “nerd” Chang Choi asks for a study space near his bed, which is fine, but the game doesn't trigger for him to buy the house until you delete the bathroom (what?!) and put in some children's toys. He doesn't have kids. I don't get it. For the most part, I ignore the buyers and just design the homes I want to make. The whole idea of flipping the houses isn't that much of a motivator, really. There's never been a time I finished a house and no one would buy it; one of the buyers always does, and it means nothing if the other buyers reject it. Flipping the homes for profit only means you can buy more expensive homes in the game, but eventually, you'll end up with more money than you could possibly need. There's no other incentive to buy or flip, other than that's what the game tells you to do. It'd be nice if your agency could have a reputation, or if you really could design a house specifically for a particular client and then “fail” if you don't design to their needs. The design options are plentiful, but there's simply not enough options to make each home feel completely unique after you've played for a while. 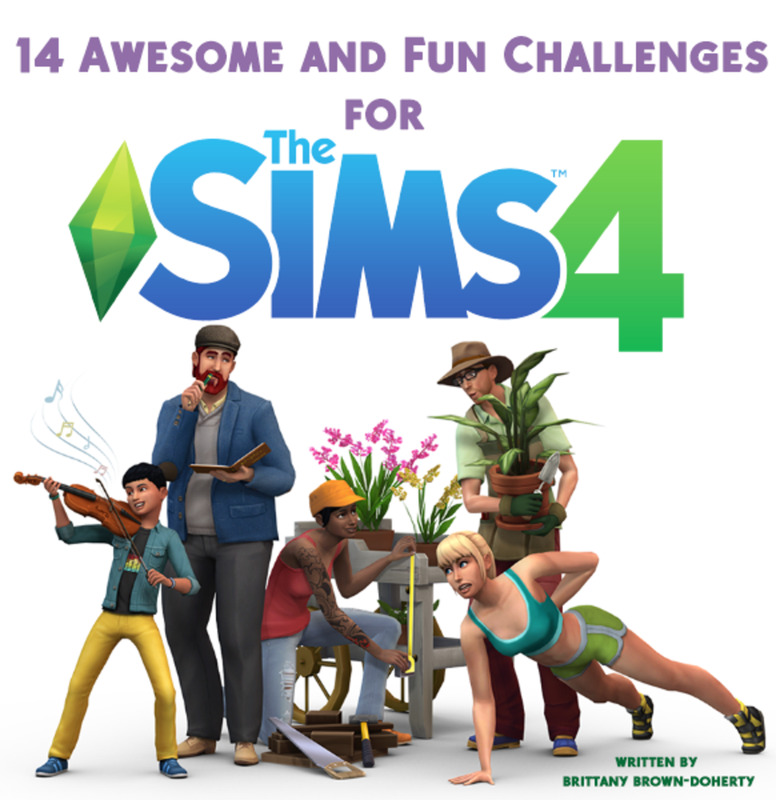 There's also a much-needed “Garden Flipper” DLC set for release, which will give players the ability to cut grass, design lawns, add outdoor furniture and more. At the moment, all the homes feature run down lawns, which looks really odd in contrast to the beautiful homes you restore the interior of. 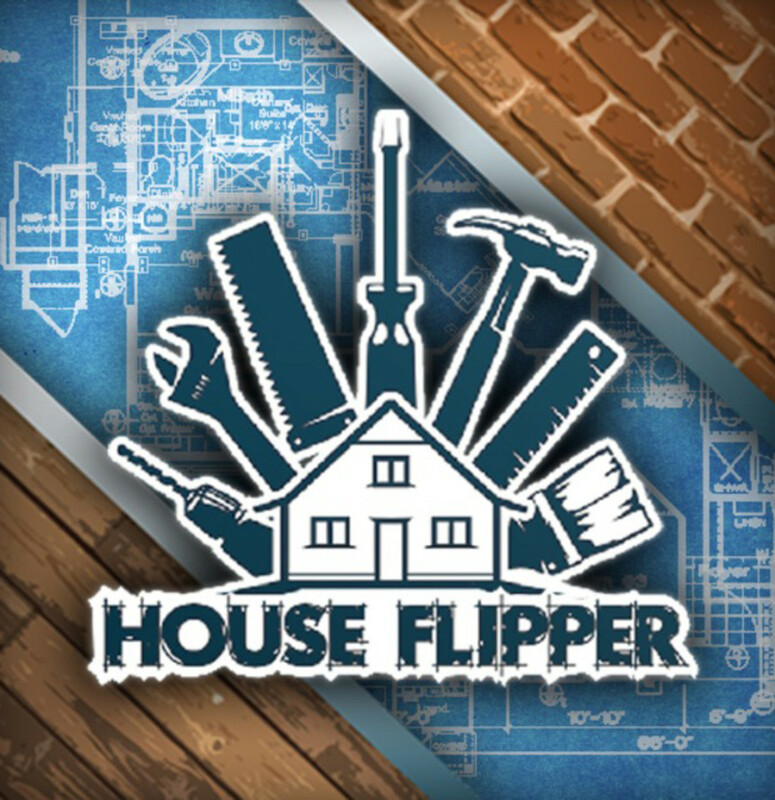 The game developers haven't officially commented on supporting mods for the game, but I think House Flipper would really benefit from an active modding community. 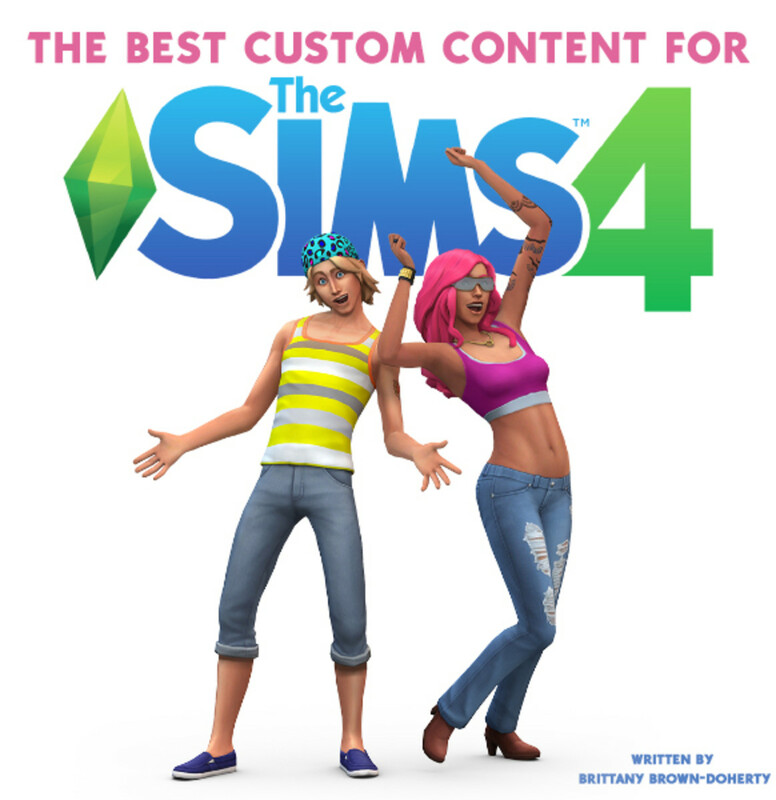 Just like in The Sims, fans could add in millions of objects that can be used in the game; new furniture, wallpaper, décor, etc. I sincerely hope modding is added to House Flipper, as I can really see user-created content breathing new life into the game. 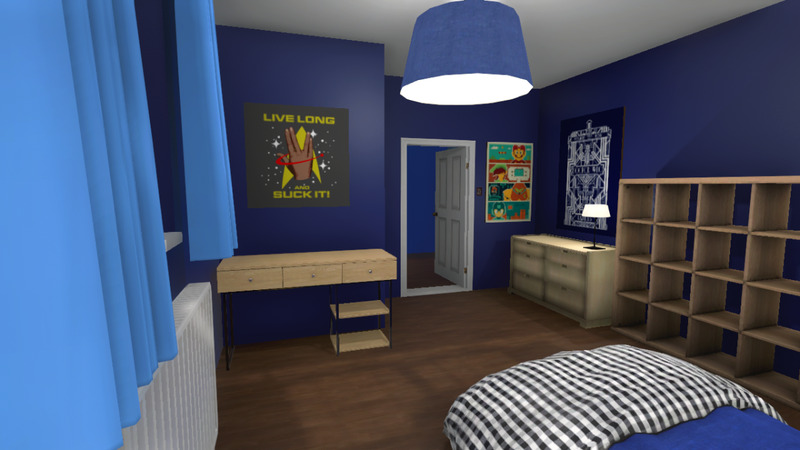 A "nerdy" teenage boy bedroom I designed in the game. All in all, House Flipper is definitely an enjoyable game. 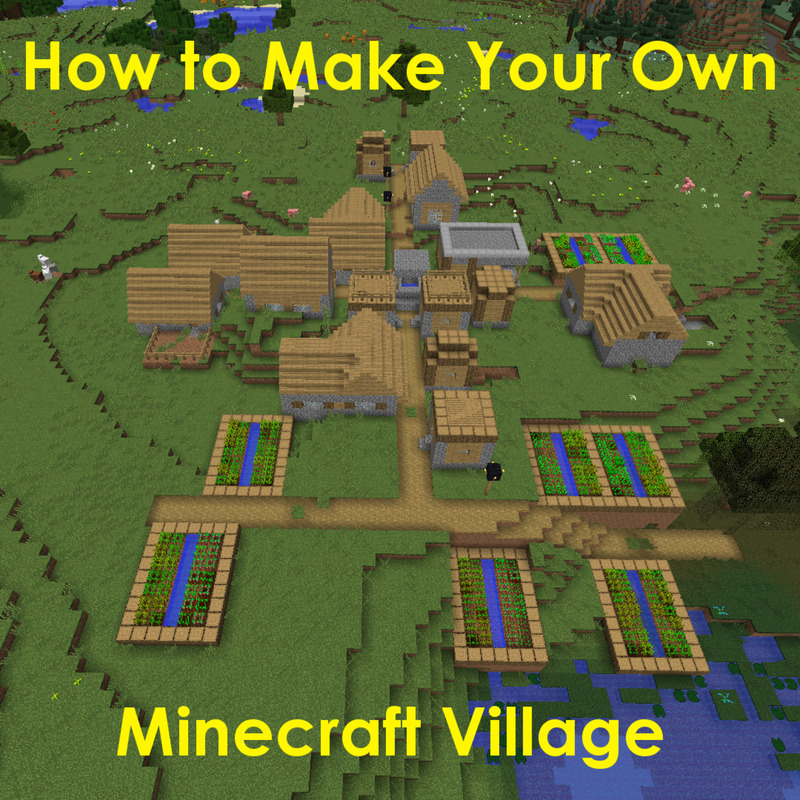 It's got some great game play mechanics, and it's really fun building a house pretty much from the ground up and being able to decorate it. The flipping aspect of the game leaves much to be desired, so perhaps the game should just be called “House Design”, but it's still fun either way. 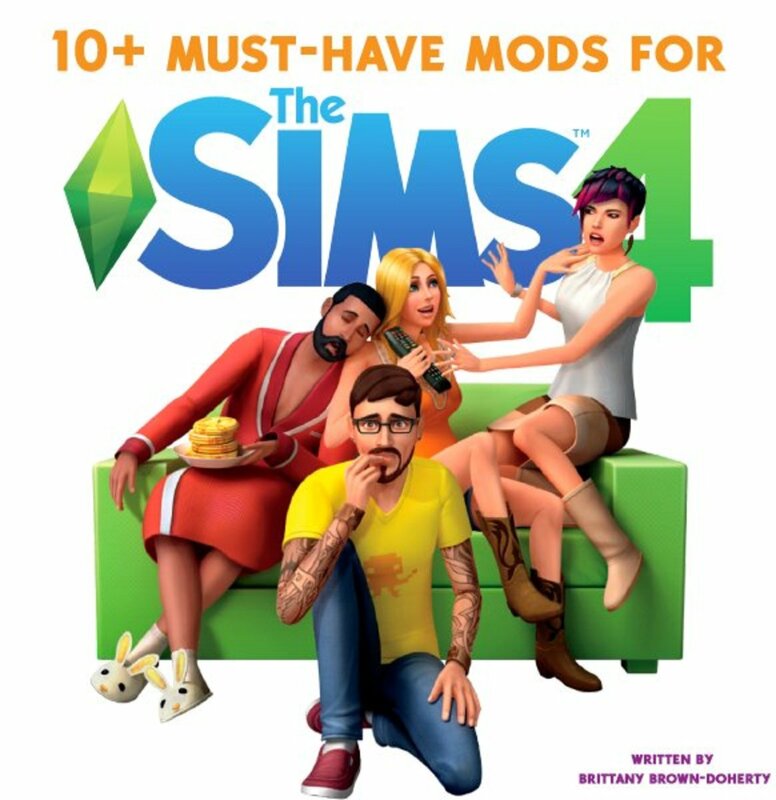 I think the game will only get better with more DLC (I'd even pay for some add-on furniture) and hopefully, modding support, in the future. House Flipper is currently available for purchase on Steam for Windows and Mac operating systems. The game is also being ported for consoles (PS4 and XBOX) release sometime in 2019. Have You Played House Flipper? No, but I want to after reading this review! Have you played House Flipper yet? Do you agree with my review? Why or why not? Let me know in the comments section below! 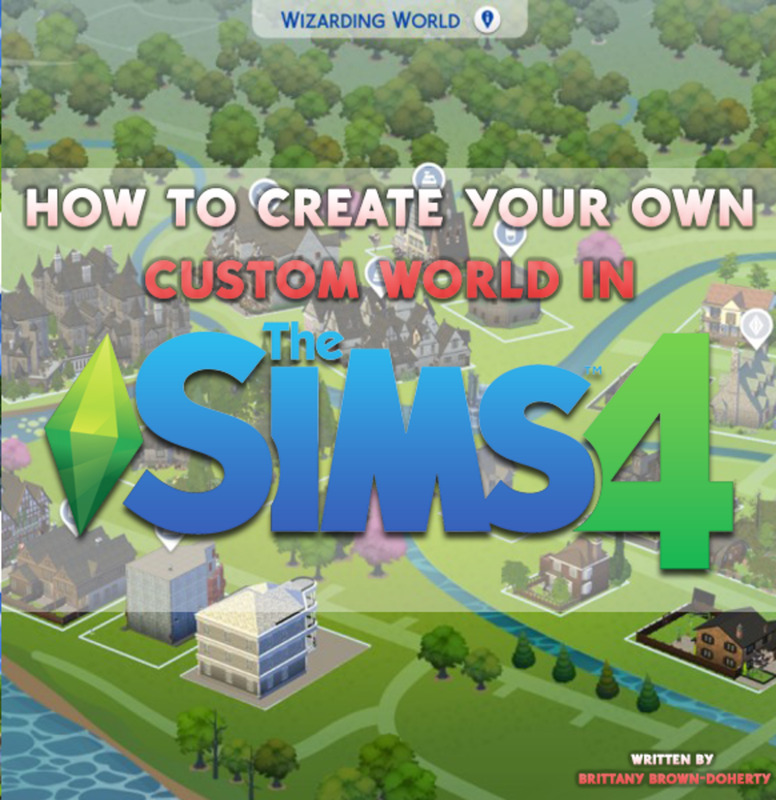 How to Create Your Own "Custom World" in "The Sims 4"!